Our unique Organisational Development (OD) Outsourcing Service can help you manage more protectively and professionally, allowing you more time to concentrate on your organisational strategy and goals. Partnering with any existing HR/People team, we ensure a strategically integrated service to address specific needs regarding People, Performance and Culture – ensuring a positive Return on Investment (ROI). This service is ideal for SMEs and rapidly growing/changing organisations; allowing more time to be focused on the successful operation of your core business, while remaining confident that we are achieving the best results with maximum effectiveness. 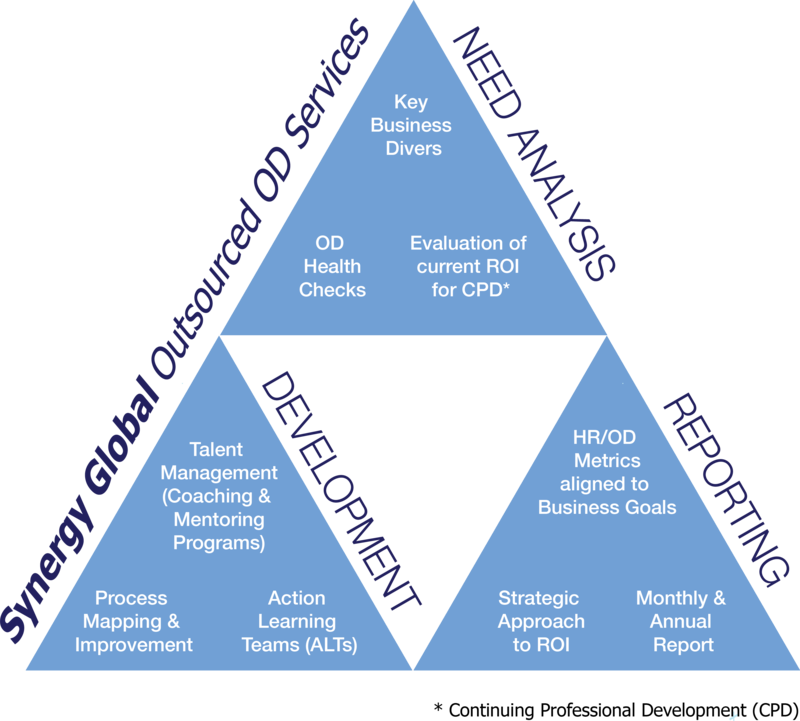 You will receive an outsourced OD Service that is individually tailored to your business requirements, and upheld to the highest professional standards. Thanks to our personalised approach, the benefits from using these services can be derived by organisations of every size and nature, across the Private, Public and Not-for-Profit.